On Monday, May 21, Secretary of State Mike Pompeo delivered a rant against Iran before the right-wing Heritage Foundation in Washington. It was a bullying speech to push the Iranian leadership to surrender unconditionally to US demands. 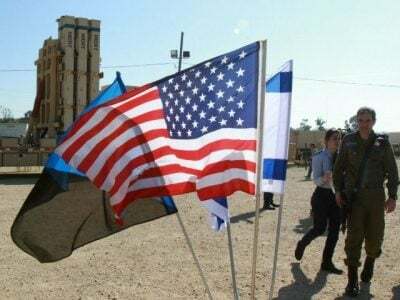 If the Iranian people are unable to contrive “regime change” the US will do it by military means, perhaps together with Israel, which Pompeo didn’t say. But everybody knows that Israel is hell-bent to crush Iran. The Trump administration thought it was an easy path in its negotiations with North Korea. Trump was euphoric when North Korea released three U.S. prisoners and proudly announced the June 12 summit with Kim Jong-un in Singapore where North Korea would agree to give up all its nuclear weapons and nuclear development programs. Trump would get a Nobel peace prize and all would be well. 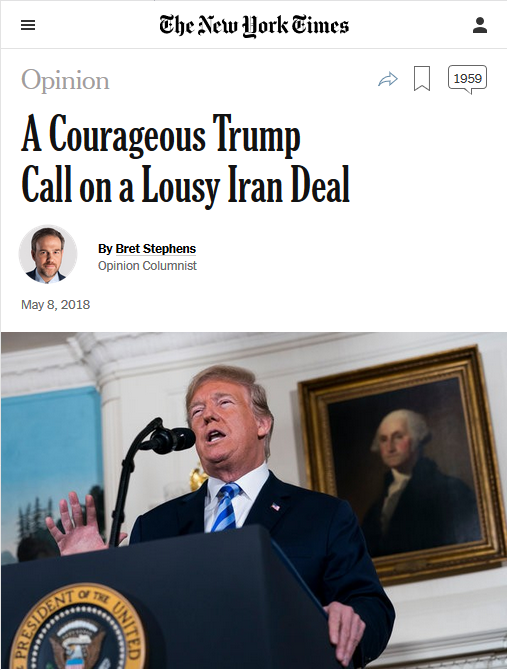 Op-eds in the Washington Post (left) and New York Times called for unprovoked military attacks on Iran.